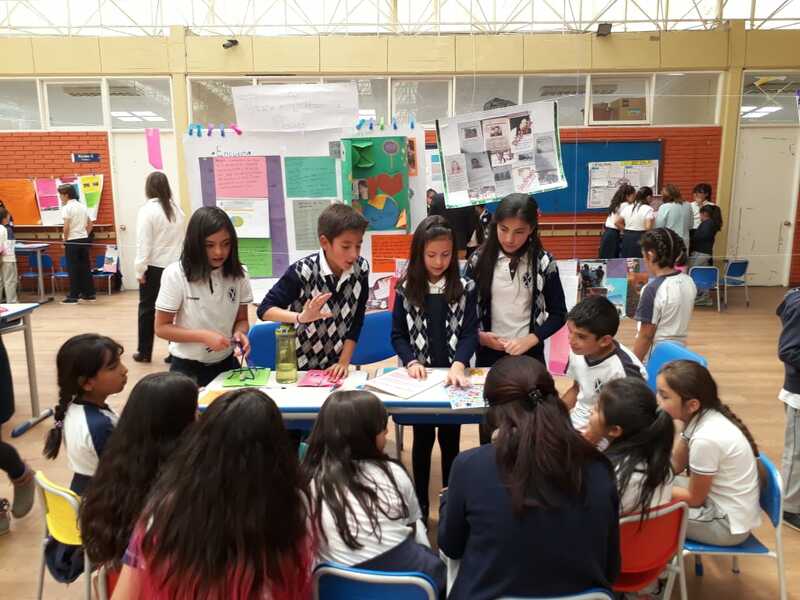 This article describes how parents guide children in their investigations and reflections through strong issues chosen by them for the Primary Years Programme (PYP) exhibition. Bolivia is a pluricultural country, full of riches that these cultures grant to those who wish to know them. However, the social problems that worry and sensitize us abound in every day news, either on television as well as in newspapers and social media. The issues that most affect our hearts and make us think, are those that involve children, women and our environment. At the beginning of the process of inquiry for the PYP exhibition, we went on a circuit around the most problematic areas of La Paz. 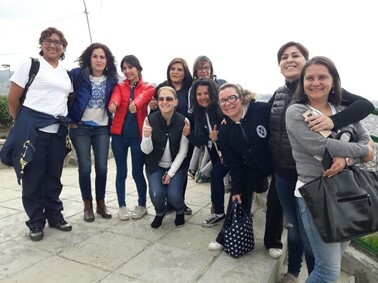 We involved parents to support us on the trip, since being a large group of students, adults were needed to support the different realities that their children were going to experience. For this, we used thinking routines, such as “see, think, wonder”, to provoke questions and guide students to identify the issues they would inquire into. Our main goal was awareness around social problems that affect us as citizens and human beings. Once back in school, we used another thinking routine “creative questions”, to let students wonder about the problems they had just seen. As the days went by, there were discussions and reflections of which issue each group would choose for their exhibition, based on the field trip experiences. Once each team had chosen their issue, they organized and guided their investigations through primary and secondary sources. Involving parents as mentors in this process was important, since some of the issues were very sensitive: women abuse, human smuggling and trafficking, animal abuse, pollution and social problems. Parental support to investigate these issues helped to prevent children from being exposed to sensitive information and to help them inquire into and obtain data according to their abilities and levels of understanding. Parents also helped their children at home, to access resources, experts, places and media to deepen inquiries and to support and strengthen dialogues about their own experiences of the issues chosen. Every day students came to school with profound reflections, more questions and with additional information to guide their investigations. Parents accompanied children to markets where animals are trafficked and poor treatment is evident and to shelters where they took care of animals, so students could have different perspectives around the same issue. Parents took their children to police stations where they could observe missing people notices and better understand human smuggling and trafficking issues. Another group observed the streets of El Alto, where people pollute their surroundings without any guilt; this helped students to think deeply about environmental pollution. Parents accompanied their children to interview representatives of the Mayor’s office to take notice of public insecurity. 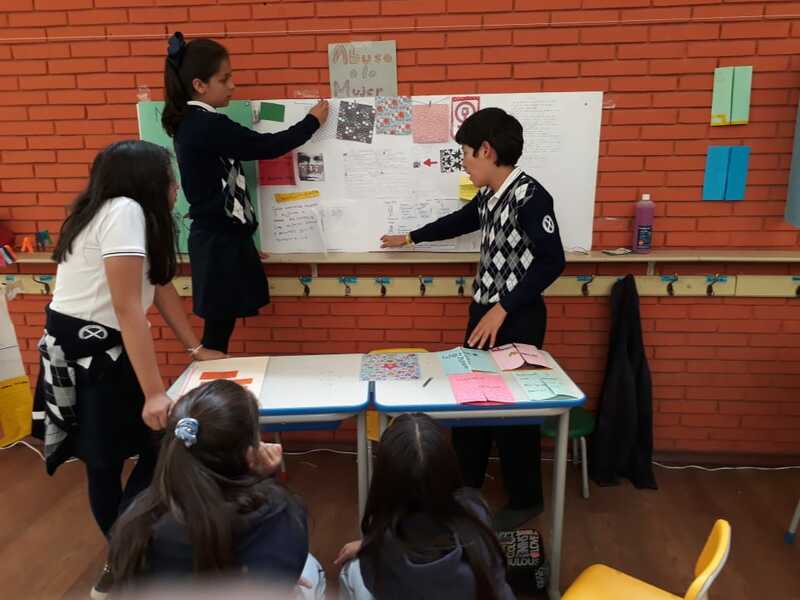 During the process and implementation of the PYP exhibition, the students were asked to complete on a reflective questionnaire about each attribute of the IB learner profile to help them discover their abilities and attributes. The reflection was carried out at home and parents were asked to dialogue with them about each question to deepen the reflection on their learning. Demonstrating critical and reflective thinking about the complicated problems exposed, as well as their own learning during this process, helped students understand their development of the learner profile attributes. As teachers, our first experience with the PYP exhibition has granted us an innovative vision of what the PYP has to offer. The participation of parents as mentors was vital to help children’s research, especially when the issues are of a strong and sensitive nature. Parents were also key when children were reflecting on their learning and the issues they exposed. We will continue to involve parents as mentors in strategic ways to inspire and guide students to be more reflective, aware and sensitive about themselves, their own learning and the world that surrounds them. 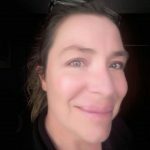 Maria Pia Segovia has been a grade 5 PYP teacher at Saint Andrew’s School, which is a PYP candidate school, in Bolivia for two years. She is an inquirer teacher who loves to find new and creative ways to inspire and make learning fun for her students. I would like to connect with you on the PYP5 exhibition.I am the PYPC at aLphabet international school , Chennai. Thank you,very much,It is insightful article.These experiences will help our school(aLphabet international school)plan our exhibition .